Supple, warm and featuring an articulated fit, our Insulated Snowbelle Jacket keeps the heat turned on with a waterproof/breathable and windproof shell, a compressible layer of always-warm Thermogreen™ insulation and a soft internal lining that wicks and glides smoothly. The shell is built with a soft-to-the-touch yet tough H2No™ Performance Standard 2-layer polyester (70% recycled) with a waterproof/breathable barrier and a DWR (durable water repellent) finish for wet weather and increased abrasion resistance. Lightweight 80-g Thermogreen™ polyester (90% recycled) insulation in the body and 40-g in the arms feels soft, wraps you in warmth and stays that way even if wet. A 100% polyester lining wicks moisture and glides smoothly over layers so you can move freely. 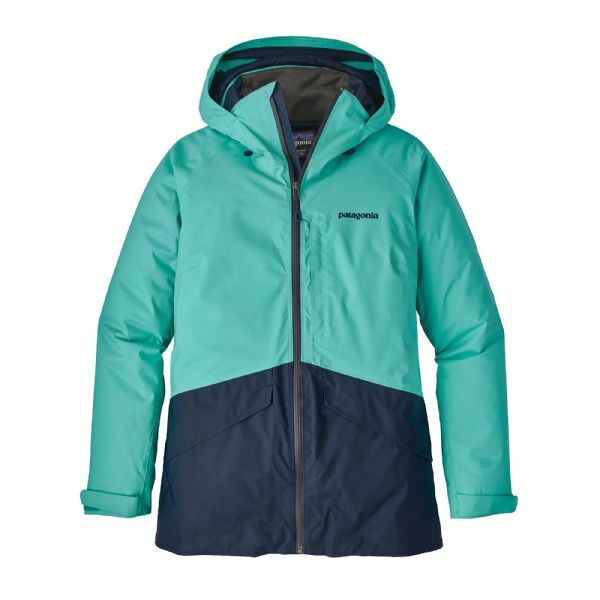 Other details include a 2-way-adjustable, helmet-compatible hood (with a laminated visor); articulated sleeves with pit zips for venting; fleece panels at the neck and chin; and a low-profile powder skirt (with webbing loop that connects to any Patagonia® Snow pants). Zippered pockets include two handwarmers, one chest (with media pocket and cable routing) and one internal stash pocket. There’s also an internal drop-in pocket for goggles and gloves. With an embedded RECCO® avalanche rescue reflector and an articulated, feminine silhouette.